Once in a blue moon I stumble upon a design that is so awesome that I just can’t not drop everything and file it into my blog for reference. 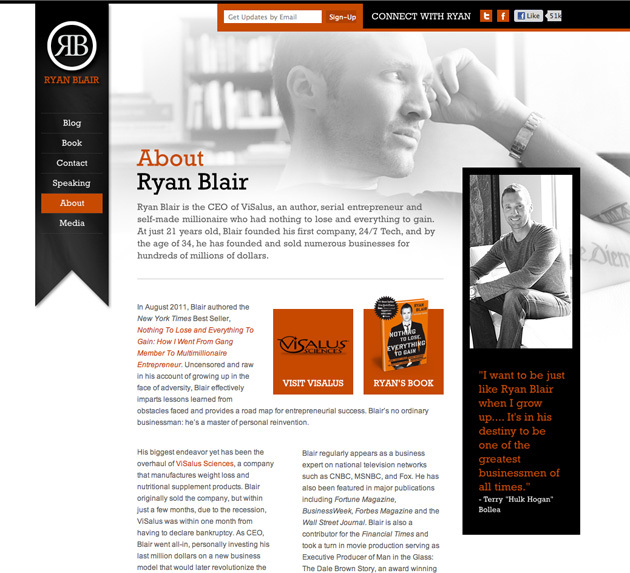 This site, that belongs to Ryan Blair, is one of those sites, it is clean and very easy to look at. The colors on it flow together very well and the black and white photo in the background, matching the blacks on the site is perfect. 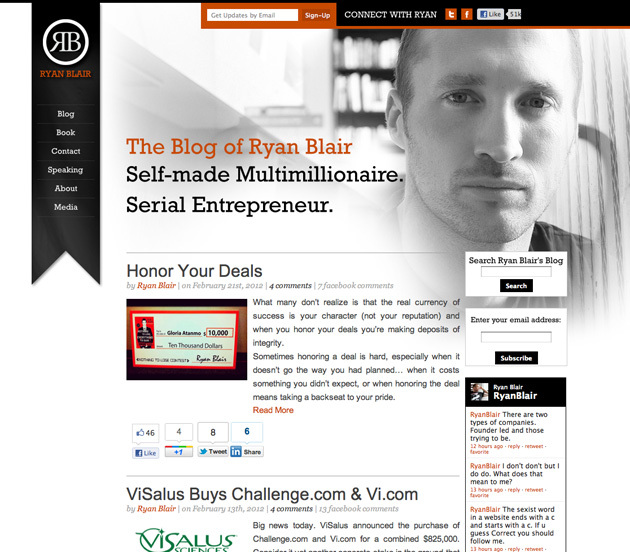 Going through the other pages as well as the blog, the design stays consistent and flows nicely. I would however do something about that right sidebar. It is the only thing that is not working for me. The left spacing on it is too close to the content and makes it look a little cluttered. THrough out all the pages that side bar is too close to the content and if it had the same padding there as the left sidebar has, I think this would be perfecto! See how the right sidebar is too close to the content in the above screen capture? If that was as far as the space on the left side it’d look awesome. On the other pages (see above screen capture) the right sidebar is still a little too close. Seems a little off to me. 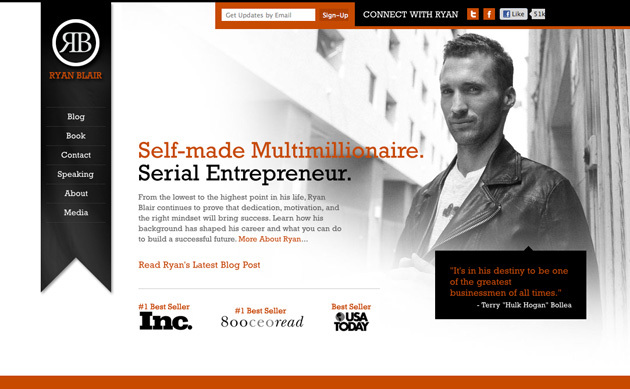 Other than that, this is one awesomely designed WordPress theme!